 Hunt Songs | Pandorapedia: The Official Guide to Pandora | Own AVATAR on Blu-ray & DVD Now! Other hunt songs focus on hunting activities, extolling the strength of both hunter and hunted, praying for worthiness of the hunter, speaking to the spirits of the forest creatures, etc. These may be sung in many contexts: before or during a hunt, prior to battle with external forces, and during social events. All tutean tìrol have a strong pulsating rhythm. However, one interesting aspect of Na’vi music is that, in certain cases, the same song lyrics may be performed in different styles, depending on the specific context in which they are used. Many of the songs for puberty rituals and hunting are performed as non-melodic group chanting in a very forceful, rhythmic grunting style. In this style, the glottal stops and ejective consonants inherent in the Na'vi language are emphasized. (See lyrics below). It is believed that this chanting or grunting style is the oldest extant Na’vi expressive style, because of the way that the song style incorporates and emphasizes these linguistic elements. Let my heart be true. Songs sung during pre-hunt rituals are chanted, accompanied by numerous different sizes of sturmbeest gongs. When used as social dance songs, they are sung in unison, accompanied by various drums, including pole drums. Unlike Hometree music, here the vocal range is typically limited to an octave and a half (in Earth terminology). Uniltaron, or “Dream Hunt” songs are especially interesting. While under the chemically-induced effects that mark the Dream Hunt, a Na’vi may utilize any kind of expression: standard social song structures, imitations of domestic cascading vocal style or children’s songs from deep in their memories, wildly improvised songs, or chants. The only type of songs never heard in this context are personal songs or the ritual songs of mourning. Performance Style Rhythmic group chanting while on the hunt or during puberty rituals. Unison singing for social dances, especially in conjunction pre-hunt rituals. Usually accompanied by different sizes of sturmbeest gongs or various drums. Songs for Uniltaron have strong driving rhythm and wild, ecstatic style. Notes Sung by adult Na'vi who have attained Tsahaylu with their banshee, during Uniltaron, or during puberty rituals prior to first attempt at Tsahaylu.